Team Beyond the Clouds hosted a press event in Delhi on March 17, 2018. Lead actors Ishaan Khatter, Malavika Mohanan along with Iranian director Majid Majidi hosted the press event in Delhi on April 17, 2018. Ishaan appeared in a casual printed shirt and blue pants while Malavika looked trendy in a blue jumpsuit. 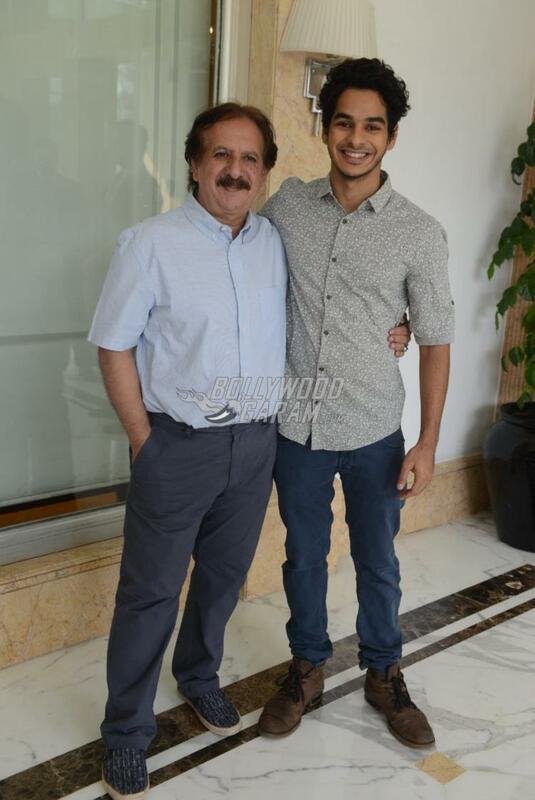 Director Majid Majidi was seen in a blue shirt and blue pants. Shahid Kapoor’s younger brother Ishaan Khatter will be marking his debut in Bollywood with the flick Beyond the Clouds. The film narrates the story about two siblings Tara played by Malavika and Aamir played by Ishaan. Beyond The Clouds will be released in theatres on April 20, 2018.